Cook and cube chicken breasts. 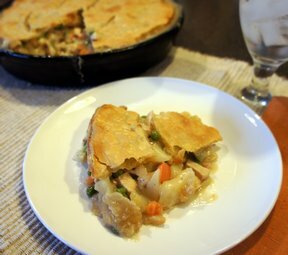 Place one pie crust in round casserole dish. 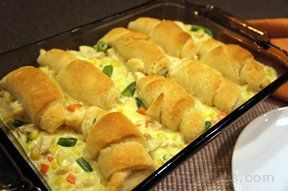 Mix vegetables, chicken, and soup together and pour in casserole dish. Cover with remaining pie crust. Cut slits in top crust to vent. 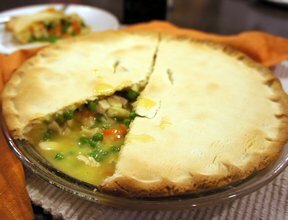 Bake until pie crust is browned.